North Carolina Executive Director, John Midgette responded to the editorial in the following letter. We are writing in response to your October 22, 2107 editorial; First Complete Prison Reviews Already Underway, which opposes Representative Bob Steinburg’s call for a legislative investigation of our prison system. 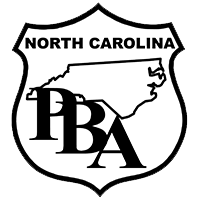 As the largest association of law enforcement officers in the North Carolina, which includes thousands of correctional officer members, The North Carolina Police Benevolent Association stands with Representative Steinburg. The administration’s call for a review by the National Institute of Prisons is one we have all too often heard before. While sounding laudable, such efforts allow control of the investigation by those that very likely are most responsible for the problems. The tragedies at Bertie and Pasquotank deserve better. Any legitimate resolution must include input from employee grievances that you have dismissed as “distracting” from other problems plaguing our states prison system. A stunning comment from our member’s perspective, especially since they are the ones being murdered. As for your assertion that any legislative commission would somehow be politically polarizing due to the largely Republican legislature and Democrat administration; again we disagree. We believe the safety of our law enforcement and correctional officers is a bipartisan issue and Representative Steinburg has led the way in proving just that. He knows this problem did not just begin with the current administration, but has developed over many years involving several administrations. That is why Representative Steinburg has been joined by many representatives from both parties in supporting his call for a legislative commission to investigate this important matter. Who better than such a commission of those who represent our citizens whom our officers risk their lives everyday to serve and protect.